Since the end of the 20th century, CRISPR has been the most discussed topic in the scientific community. There are consistent predictions that this gene-editing technology has the potential to transform our planet. Compared to older and other popular tools used for genetic engineering, CRISPR-Cas9 is cheap, easy to use, precise, and remarkably powerful. The applicability of CRISPR is also wide-ranging from human biology, agriculture, and microbiology. Researchers are still trying to figure out how CRISPR can be used to change the world for the better. However, the power to alter DNA brings along many ethical questions and concerns. In this article, we will be looking at the latest CRISPR Research Trends and tips on how to build up a successful career in CRISPR. One of the rare, genetic, heart diseases is Hypertrophic cardiomyopathy (HCM), affecting roughly 1 in every 500 people worldwide. This occurs because of mutations in a number of dominant genes, which leads the heart tissues to stiffen, and gives rise to chest pain, weakness, and, in severe cases, sudden cardiac arrest. Still, there is a hope, that in the due course of time, we will be able to use gene editing to cure this disease once and for all. Attempts had been made in 2017 when the Oregon Health and Science University researchers used CRISPR to delete one of these defective genes in a number of viable human embryos. They injected 54 embryos with the CRISPR-Cas9 machinery 18 hours after fertilization. The results indicated that 36 of the embryos did not show any chance of developing the disease. Other 13 were having 50 percent chances of inheriting HCM. On further reducing the chances of inheritance, it was found that only one was a mosaic. As per the report published in November 2018 in the leading journal Nature Biotechnology, CRISPR-Cas9 will enable scientists to predict the best sequences as a target to make gene editing more reliable, cheaper, less time consuming and more efficient. In this attempt, the researchers analyzed over 40,000 pairs of different target DNA and guide RNA deeply, and carried out CRISPR-Cas9 gene editing in different cells. It was analyzed that the repair depended on the exact sequence of DNA and guide and discovered that it was reproducible within the same sequence. Thereafter, a machine learning computational tool, called FORECasT was generated, that enabled them to predict the repaired sequence, using the targeted DNA sequence alone. In a similar attempt, a machine-learning algorithm in Delphi has been created that predicts how human and mouse cells respond to CRISPR-induced breaks in DNA. It was discovered that cells themselves repair broken genes in precise and inevitable manners, typically even returning mutated genes back to their healthy version. In fact, the researchers were able to successfully correct mutations in cells taken from patients with one of two rare genetic disorders. Even after 38 years of discovery of HIV, scientists still haven’t found a cure. CRISPR can turn out to be a hopeful measure in this regard. In 2017, an experiment was carried out on mice to increase resistance to HIV. A team of Chinese researchers successfully implemented this by replicating a mutation of a gene that effectively prevents the virus from entering cells. This mutation has been found to occur naturally in a small percentage of people. Artificially it can be induced using CRISPR, which will considerably bolster HIV resistance in humans in the future. In another approach, scientists from North Carolina used CRISPR to engineer bacteriophages, to develop a proven, safe method for treating harmful bacteria. recreate the DNA blueprint of the extinct mammoth. DNA from mammoths preserved in Arctic permafrost has been used to discover that only 44 genes are separating mammoths from elephants. It is an attempt to save endangered elephants they are trying to create hardier mammoth hybrids that is much more cold-resistant. The researchers also look forward to inserting non-mammoth genes, which will prevent them from growing tusks, to prevent poaching, as well as new DNA to allow them to eat a wider diet. Mushrooms that do not turn brown have already been created with the help of CRISPR technology. Attempts have been made by the scientists from Cold Spring Harbor Laboratory in New York to edit the genes which determine fruit size, branching architecture and, the shape of the plant for a greater harvest in tomato. Before that, we should know the difference between GM crops and gene-edited crops. While traditional GMOs are made by inserting foreign DNA sequences into a crop’s genome, makes precise alterations to genes in specific locations of the native genome. The leading company, DuPont Pioneer is trying to bring its “waxy” gene-edited corn into the U.S. market by 2020. The U.S. Department of Agriculture regulation has already approved gene-edited mushroom, since it doesn’t contain genomes from viruses or bacteria, declaring it the first CRISPR-edited organism to be green-lit. Discoveries have given access to tackle the sleep menace ‘mosquito’ in the most astonishing ways. Scientists at the University of California, Riverside have disrupted target genes in multiple locations of the mosquito’s genes, using gene drive technology, by impairing the mosquito’s flight and vision. Success was achieved in postponing mosquito development, shortening the animal’s lifespan, retarding egg development, and diminishing fat accumulation. Other researchers at the Imperial College London, have tried another unique way to get rid of a female mosquito, by interfering with how they reproduce. Current approaches in arthropods are based on delivering the gene-editing Cas9 on to eggs by embryonic microinjection, a tough and inefficient method that works in a mere a tiny low range of species. As per Jason Rasgon, faculty member of zoological science and unwellness medicine, Penn State school of Agricultural Sciences, microinjection will harm the eggs, and it needs costly instrumentality and coaching to implement. To address these limitations, the researchers developed ReMOT Control—Receptor-Mediated Ovary Transduction of Cargo. This is the technique that will deliver a Cas9 system to the target by a simple injection into the blood of feminine arthropods, wherever it is often introduced into the developing eggs via receptors within the ovary. Rasgon explained that in ovary and egg maturation, mosquitoes and alternative arthropods synthesize food proteins, that are secreted into the blood and brought up into the ovaries. The assumption is to bypass the requirement for embryonic microinjection to attain ordering gene editing within the embryo. The first edit in the genes of a human embryo in vitro was made by China in 2015 using CRISPR + IVF, which sparked global outcry and pleas not to make a baby using the technology. As per the reports, a team at the Southern University of Science and Technology lead by He Jiankui had been recruiting couples so as to create the designer babies. They had planned to eliminate a gene called CCR5 hoping to make the offspring resistant to HIV, smallpox, and cholera. They have successfully brought two healthy, little Chinese girls named Lulu and Nana into the globe in November 2018. He Jiankui said that his team performed “gene surgery” on embryos created from their parents’ sperm cell and eggs to shield the youngsters from the human immunological disorder virus, HIV, that causes AIDS. Their father is HIV-positive. Indian Research Community is all set to adapt for this trending gene editing technology of CRISPR Cas9. 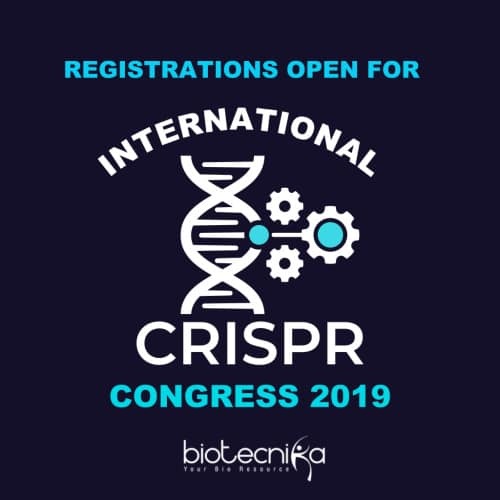 In fact, a lot of research is already being conducted at Govt research labs and private biopharma companies with respect to CRISPR Research Trends – to tackle one re more issues faced globally related to health, agriculture and Food technology. 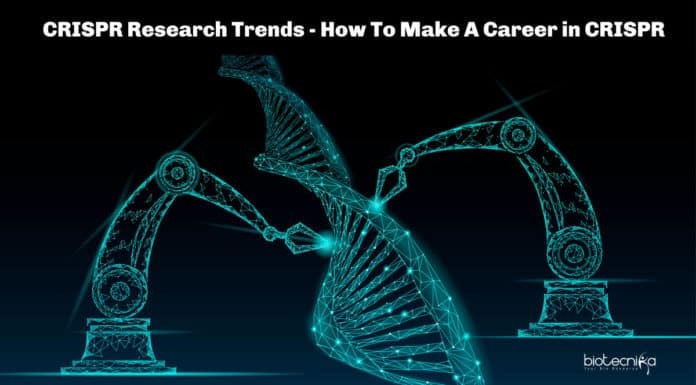 A lot of job opportunities in this field exists for which you need to apply for vacancies in CRISPR related research projects at either research institutes or Biotech companies. But all of these jobs require a minimum qualification of being a postgraduate with NET / GATE qualification if you are joining a research lab or preferably a PhD degree (given priority). So, the first step here is to grab a PhD position for yourself after clearing any of the exams that can help you get admission as well as guarantee you a fellowship. E.g. 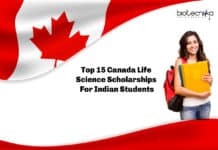 CSIR-JRF, ICMR-JRF, etc. You need to select for a potential guide, who himself is well aware of this new technique and can provide you with necessary facilities and guidance. Next, one should develop a research problem which has novel applications, that includes the use of CRISPR and which has not been standardized properly. But always keep in mind that you require something to look upon, when in doubt. So, try to select a research problem, which may have been successfully implemented in some other way in some related model organism. 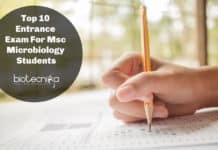 Now, you should also have a basic understanding of genetic engineering and molecular biology protocols as well. E.g. 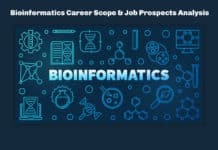 like cloning, PCR, qPCR, RNA extraction, cDNA synthesis, immunochemistry techniques like western blotting, immunofluorescence. If there is no possibility to keep all these techniques in your research work, you can always opt for hands-on training courses or workshops which can be availed from any of the reputed laboratories. It may require additional hand-on-expertise on mammalian cell culture- experience handling multiple cell lines, transfection, electroporation, transduction, generation of stable cell lines, single cell clonal selection, RNAi mediated gene knockdown, transient and stable expression of proteins in mammalian cells. Again, in order to get experience in related techniques or CRISPR itself, you can join as a Junior Research Fellow in reputed laboratories. Once you have completed your M.Sc. / Ph.D. research work successfully, you can apply for a patent as well, along with the publications in reputed journals. These publications will give you an upper hand while applying for the jobs. Moreover, you can apply for Postdoctoral positions in similar fields, as limited knowledge may give you perfection in a particular field, but it will not give you exposure. The more you learn, the better are the chances for you to get a salary hike or promotion or possibly a government job as a scientist. Let me remind you that CRISPR will offer you highly paid jobs (Research associate Salary US $ 40000). Since his field is still in its infancy, you will get ample opportunities to prove yourself. Recent developments have proven CRISPR to extremely versatile, precise and safe. However, the technology is still in its adolescence. Till date, we are facing technological and ethical hurdles that are not allowing us to feed the hunger-stricken planet, remove genetic disorders, or conserve extinct animal species back to life. But we are making progress in a satisfactory manner. But one thing is clear- CRISPR is a technology which in near future will be adapted globally looking to its diverse applications but of course, the practice should be done under strict guidelines to avoid its misuse. 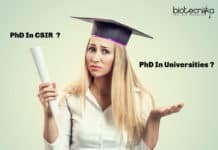 So are you CRISPR job ready yet? 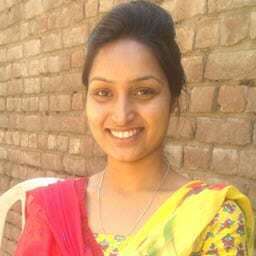 Dr. Preeti Saini is Ph.D. in Soil Microbiology from Punjab Agricultural University, Dr. Saini wears many hats at BioTecNika. She is involved in designing Courses, coordinating conferences and loves to educate her students about the latest from the world of Life Sciences. This article elaborates her vast knowledge in this upcoming revolutionary gene editing technology – CRISPR Cas9. Very informative and in-depth article. This cleared up a lot of my queries regarding CRISPER.